Saw this top (or maybe a similar one) on Olivia Palermo, and she's a huge influence in what I buy, so I soon decided I wanted to add this to my vast chiffon white top collection. Another Zara pick, the infamous City bag, revamped with buckles. This version is much more up my street, and don't you think it looks more expensive than its predecessor? I tried this Topshop jumpsuit on in the Manchester Arndale store on Monday, I absolutely loved it, it just fitted perfectly and looked dreamy. I didn't get it however, because, the colour is really light in person, making me think will it become dirty soon as I sit down anywhere, and the price is pretty steep for a jumpsuit, because how much wear will I actually get out of it?! I think I'll be doing a "pros and cons" of this beauty before I make a purchase. I have two pairs of ASOS sunglasses already, and you simply cannot beat them for the price, quality and the amount of different styles available. Plus, I've wanted some round sunglasses for quite a while, so these seem like the perfect pair. I'm a big fan of scented candles, but the larger ones simply don't agree with me, as I think I may be slightly allergic so trying to get a clean burn is often hard, because I don't want to have them burning for hours, which makes me feel unwell. A candle with three wicks will surely make a clean burn easier? And with Spring (supposedly) round the corner, a citrus scent seems fitting. As a huge fan of the Bumble and Bumble surf spray, hearing the news about the new Surf Shampoo and Conditioner sent me into excitement overdrive. These are out on May 1st according to Into the Gloss, who I found the images from. I will be amongst the other fans queuing to get my hands on these, I'm pretty sure they'll be a sell out! Adding date to calendar. Right. Now. I've been really enjoying using Revlon's Colorstay Nail polishes, which I find really hard to get hold of for some reason. I bought two using my advantage card points on Boots.com and this shade is "Pale Cashmere" a sheer pink, which I have a LOT of, after Essie's Ballet Slippers, this is my favourite sheer pink polish. Another thing I struggled to get hold of was a brow serum, I ended up getting this Eye Candy XLR8 serum whilst it was a little cheaper on Amazon, I think it has worked quite well, but hasn't made a significant change in my brows. It has made them look fuller, however, so I will be continuing to use this. Clarins have amazing self tans, their Delicious self tanning cream creates a gorgeous sun kissed look on my body, whilst the highly raved about face tanner adds a healthy glow and tint to my face. Until summer comes along, I think these will be getting used quite a lot. Before applying the face tanner, I use Origins Drink Up Intensive, an overnight mask which injects a lot of hydration in my skin, and makes it look glowy prior to the extra tanning. I'd heard a lot of the Laura Mercier's Silk Creme foundation on the blogosphere, and when the lovely Gemma over at MissMakeupMagpie was selling a pale colour over on Twitter, I jumped in to get it straight away, I have a darker shade, which is currently a tad too dark, so mixing the two gives me an ideal shade, and makes my skin look incredible! I understand why it is so highly raved about. Its just ah-mazing! I'd also heard about Sure's Maximum Protection deodorant, which I caved and bought, as I've never particularly found a deodorant that just worked for me. This one does, its like a roll on, but its more of a cream, that soaks in immediately and leaves you with that lovely clean and fresh scent that lasts for ages! Its a really good investment, and its definitely one for women on the go, thanks to how quick and easy it is to apply. 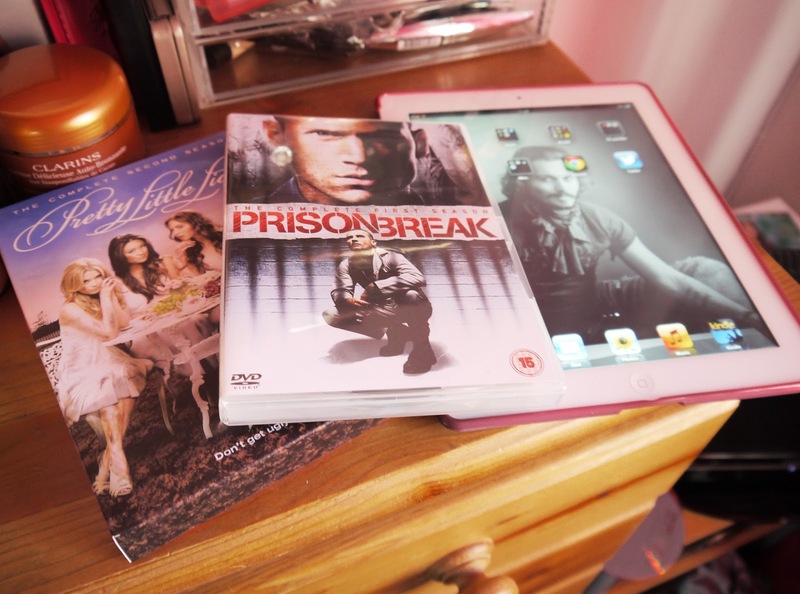 I've also been hooked on a website called BTVGuide, and watching Supernatural. I watch a lot of TV online, and on my iPad, and one of my newest addictions is definitely in the form of Supernatural. I've just started season 2, and I love the supernatural fighting brothers, Dean, a lot more... he's such a dude. An essential to all make-up artist kits is the disposable mascara wand, used by them in the place of the wand in the mascara tube, as it would be seriously unhygienic to use the same wand on every client. However, I am NOT a make-up artist and have a large pack of these wands handy all the time. My reason for this? They have so many more uses than just applying mascara... 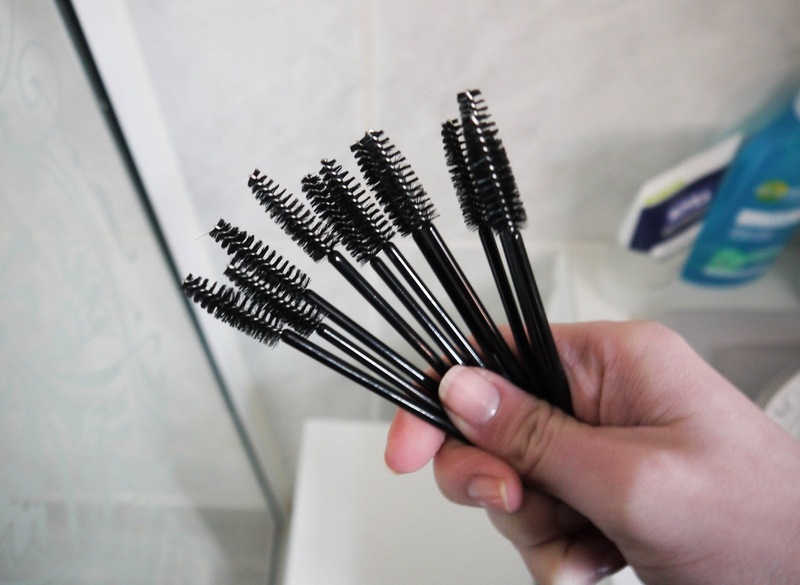 So, I thought I'd share some of my useful tips and tricks using disposable mascara wands. Dry lips? 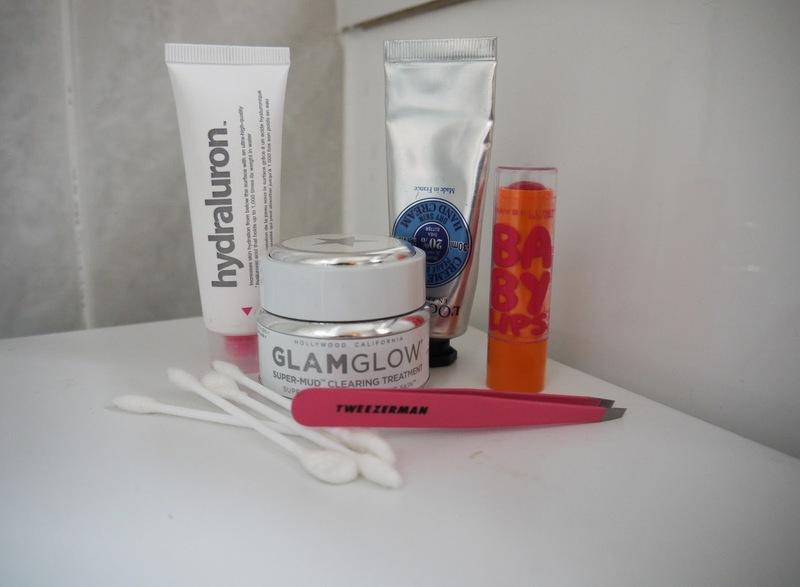 When combined with a coat of Vaseline, these little wands make an amazing scrubbing tool to remove any dry/flaky skin from lips. Clumpy mascara? Use a dry wand to separate lashes. Removing eye makeup? I have a bottle of Liz Earle's Cleanse and Polish, which does remove eye makeup, but its quite difficult to use on lashes without getting it in your eye, so use a tiny bit (take serious caution and care) and use a wand to run it through, and make sure all your lashes are coated to dissolve left over mascara. Too much eyebrow powder? To make eyebrows look much more natural after filling in with powder, run a wand in the direction of the hair growth to work the powder into the brows, and make those drawn on brows look more Cara, and less Crayola. Pale eyebrows? I personally have quite blonde brows, so I usually dye them with one of the at-home kits, as the maintenance and cost of getting them done at a salon is too excessive. But anyway, the application tool which comes in these kits is dreadful, one of these wands will coat each hair, and from my experience, makes the dye last a little longer. Short, stumpy lashes? I know a lot of people complain about short eye lashes, so using one of these wands and again, Vaseline, (I've heard good things about Castor oil too, but don't hold me to it) too add a thin coat to your lashes before bed, and in the morning, they should be pretty soft and silky, and after a while, it should promote lash growth thanks to the extra moisture. Hope this has given you a few little tips and tricks using a super cheap product. Some things need to be done cheaply, right? I bet you're all sick of hearing of this aren't you? I sure am, so I'll keep it short and sweet. Its a under-moisturiser serum which basically pushes your moisturiser to work harder, and fully hydrate your skin. I didn't think I particularly needed it in any months but winter, but I have been still using it for extra hydration, and it keeps my skin looking healthy and refreshed. 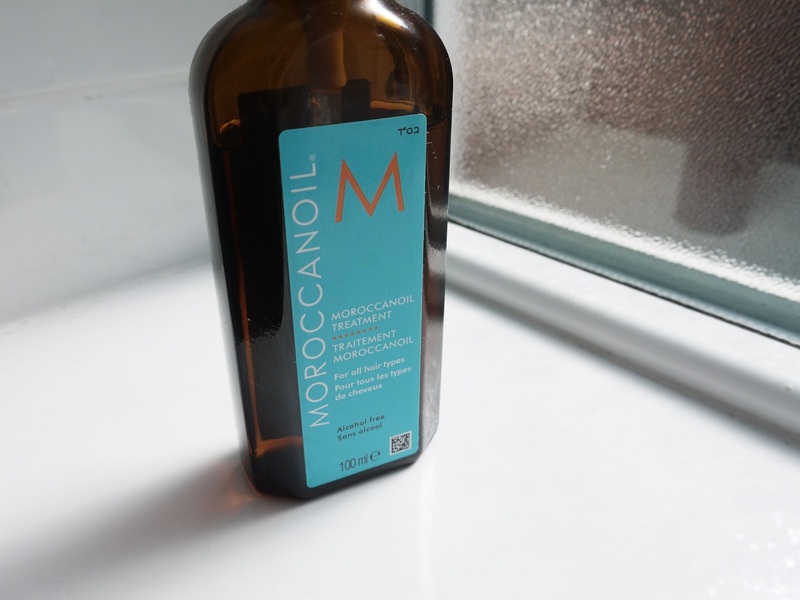 One of my favourite serums, and a definite repurchase. Despite the daunting price tag, I think this is the only skincare product I have purchased and loved immediately. It has a list as long as my legs (I know that isn't the saying, but I have VERY long legs, so this is much more over-exaggerated) of ingredients, and uses, it will treat pores, uneven skin tone, ingrown hairs etc. I think the thing that makes this so special is the fact that you can see the dirt it is extracting out your face, and for myself, being able to see the results of the product I am using just proves how amazing it is. My main use for this is to deep clean my nose area every week before applying a brightening mask like REN's Glycolic Radiance mask. I apply it with a cheap foundation brush over my nose and remove with a Liz Earle sponge, which I have found to be the best technique to use with this mask. The Baby Lips I personally have is the USA version, as I have heard some of the ones from other countries aren't as good, and upon hearing rumours that BL is coming to the UK, we should all keep our fingers crossed we get the same formula at the USA ones! Anyway, I have quite big lips, so keeping them in good condition is very important to me, but I struggle to find a lip balm I actually like as I'm pretty fussy when it comes to my lips! I hate balms that smell too strong, ones that take too long to soak in, heavy/cakey textures, and the ones you can actually taste if you go to have a drink. (EWW!) So after hearing things about these I thought I'd give it ago, and I haven't been disappointed, it does everything I want it to do, has a slight scent of cherries, which is very pleasant, and also a pink tint which makes my lips look very healthy and full. I'm almost to the end of the tube, which is a first for me, and I have already purchased the other scents and I'm waiting patiently for them to arrive. I personally do not understand what it is that makes Tweezerman's tweezers so special, but they really are incredible. They pull out hairs without ease, and make plucking a much simpler task. According to the book that comes with them, if you send these to Tweezerman, they will resharpen the little metal parts for free as long as it is wear from regular usage, which is quite impressive, meaning they will last you a lifetime! I have personally never done this, as I don't pluck my eyebrows a lot and have only had mine for about a year and a half. I advise anyone looking for a good pair of tweezers to give these a try, you won't be disappointed. I'd never heard of these until I went for a stroll around my local Boots (never a good idea) and I saw these, and thought they seemed pretty interesting, so I picked up a box, you have nothing to lost for £1.40, do you? The thing that makes these different to regular cotton buds, is the two different ends (a pointed end, and a flat, round shape end) that make clearing any small make up mistakes a dream, as you get much more precision than with a normal cotton bud. These may seem like a little bit of not needed silliness, but I promise, anyone who wears, eyeshadow, eyeliner, lipstick, or mascara will find these a Godsend. What do you all think? Do you have any products which have changed you're beauty routines? I'd love to hear from you, so I can try out some more. Anyway, onto the skincare... I have recently got my hands on some of the most talked about items of French skincare items, typically found in French pharmacies. 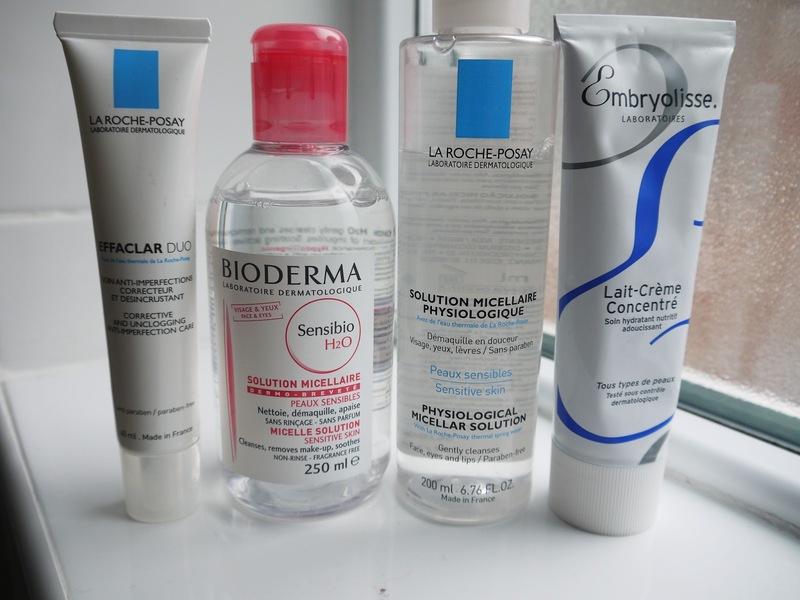 I bought the La Roche Posay products from Boots, and the Bioderma and Embryolisse from eBay, so I shall link these at the bottom of the post. So, the difference between the two? Not much actually. Although, I feel like I prefer the La Roche Posay water, I think its the strong peach scent, it just reminds me of summer and feels like an instant pick me up, but if I wanted something unscented, the Bioderma does the job. 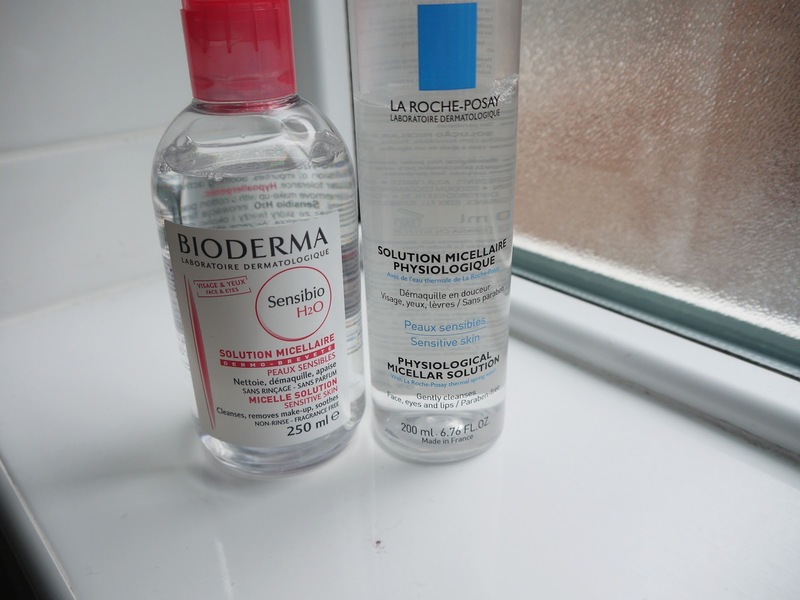 Although it is reportedly in the UK now, I won't be repurchasing the Bioderma at the eBay prices, considering that the La Roche Posay is very often on offer at Boots, and plus, I gain advantage card points. SCORE. The Effaclar Duo is a cult product, I think Tanya Burr raving about it definetly gave it star status, and to be honest I had been very curious. I used to suffer from little bumps under the skin on my cheeks, but I've never been one for spots, so with the promise of it decongesting skin, I thought it would be good on my nose, and on my cheeks, while I've had a few spots from hormones. Anyway, despite everyone loving this product, I just didn't. I think it disagreed with my skin, gave me more spots than I previously had (I've heard of the purging stage, but this wasn't the prettiest) and the scent put me off also, as the only way I could describe it is dirty, if anyone gets me? You know, that just nasty smell that reminds you of dirt? No? Okay.. I'll shush. 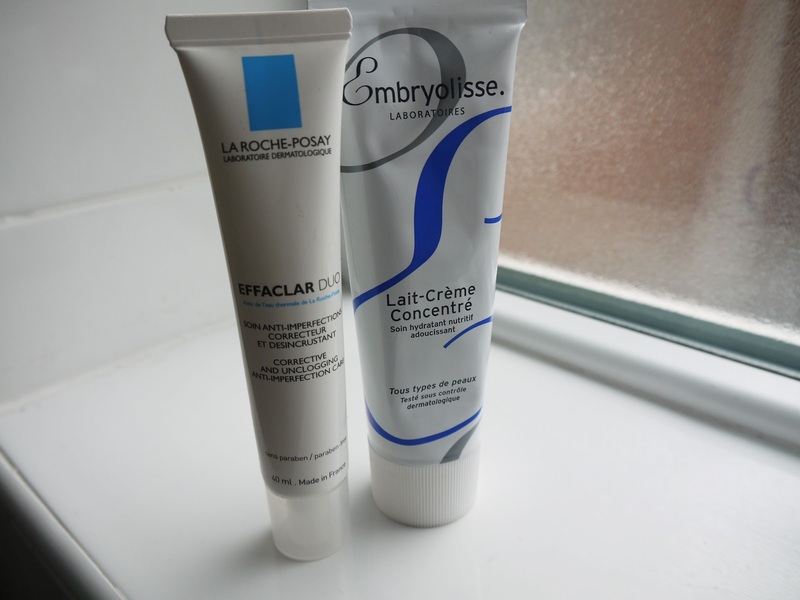 Onto the Embryolisse Lait-Creme Concentre, it is dubbed as a skin-care hybrid and I know it is a strong favourite of many models, which is one thing that convinced me to buy it. I mean, come on... who doesn't want model skin? But in all honesty, it didn't live up to the hype, it is a fantastic product, to be used as both moisturiser and primer, but I have used better, and I just prefer to apply my moisturiser and primer seperately. 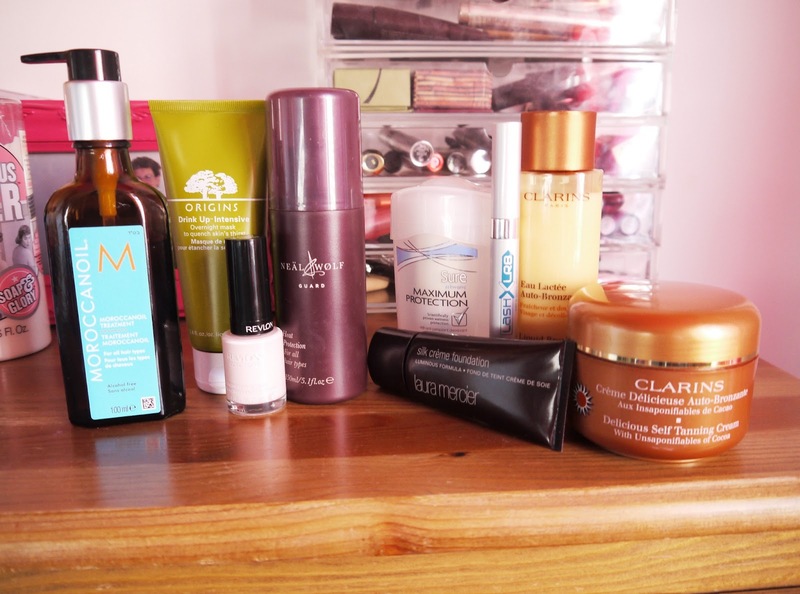 Although not all of these products had worked for me as well as I had wanted them too, skincare is very personal, and what works for one doesn't always work for another. Does anyone have any other French beauty brand recommendations? I'm now officially hooked!